In Burn Wild, I wrote about how emotions can transform a story. I was feeling pretty confident that I knew my way around an emotional landscape, both in writing and life. A few months after my book was published, I found myself drowning in emotion. Despair, elation, confusion, excitement, boredom, anxiety, infatuation, panic, delight - mood swings all over the map. I found myself weeping on a walk with a friend. Another day, singing my heart out at the grocery store. Every day, journaling like crazy. It was like being a teenager again. The trigger? Hormones - the changing of the guard. Somewhere between now and the next decade, I'll leave my childbearing years behind me. Everything is shifting, and has been for almost a year now. Making me pretty damn uncomfortable. Until I began to go with it. Field research, if you will. It's as if a professor has handpicked my curriculum. The people, books, and situations that have come my way have been showing me how I've closed myself to emotion in ways I didn't realize, prolonging my confusion and processing as I go through this. It's not just me. Our culture is stuck when it comes to feelings. 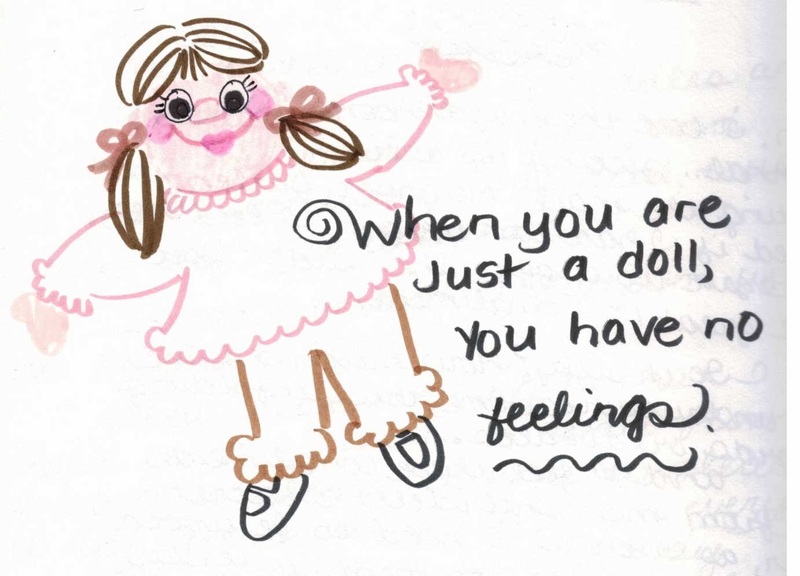 We close off our emotions, becoming wooden, predictable dolls - and then wonder why our writing is stiff, our creative life is stale, and we have no ideas. I'm loving what I'm learning, and I'm using it with my characters on the page as well as face-to-face interactions. I'm letting in the so-called "bad" feelings as well as the "good ones." My husband and I are having long, open-hearted discussions where we allow ourselves frustration, or anger, or clingyness. I'm opening to what people offer. Last week, I received a group compliment, a restaurant toast of water-glasses. My first impulse was to close off the rush of feeling. Instead, I sat quietly, soaking up the beautiful goodness and love. When we disconnect our emotional lives from our creating, it's like circling a No Trespassing Zone. We step back from the barbed wire, avoiding the place where we truly belong, yet we can't leave it alone. Deep down, we know that what we need is behind that fence, down that dark path. Even if it means feeling foolish as a teenager. Allowing all changes in mood and body to usher in a new birth of self: a human being who feels. Wonderful post, Christi! Thank you. So true - that body can be trusted! Thank *you*, friend Dale! LOVE this! and I LOVE you!